At Palms Diagnostic Imaging Center, we’re on a mission to revolutionize the way local patients experience digital imaging in Coral Springs, FL. We’ve dedicated our facility to providing highly-effective service that also integrates the principles of comfort and convenience into the process of designing our approach. From the moment you arrive at our facility, you’ll enjoy health-focused attention from our friendly technicians. From supporting women’s health to providing comprehensive scans for a wide variety of medical diagnostic procedures, we consider our services a vital part of encouraging longer, happier lives in our community. 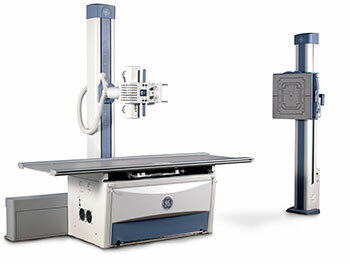 As a part of that prerogative, we offer access to some of the most advanced machines in the imaging field. Magnetic resonance imaging is one of the top ways to diagnose a diverse array of conditions. At our facility, we utilize a brand-new GE Optima* MR450w 1.5 TELSA with GEM Suite coil technology to give you the best results and comfort possible. This machine features an extra wide 70cm bore to provide you with plenty of space. It also offers a table with variable cushion density to alleviate pressure points. 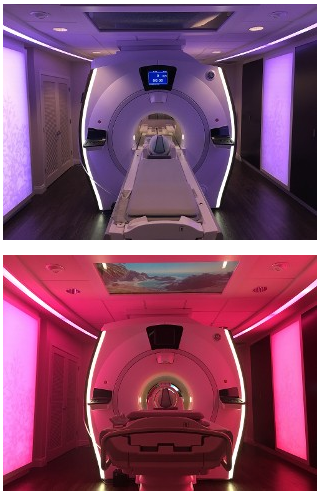 Perfect for patients who find tight spaces disconcerting and capable of reducing ambient noise through its soft sound gradient system, our machine delivers an experience that has led four local hospitals to select us as their facility of choice for this kind of imaging. You can always count on as much comfort as possible when you visit us. Contact us today to schedule a visit for your imaging services at our comfortable facility. We proudly serve Coral Springs, FL, and the surrounding areas. 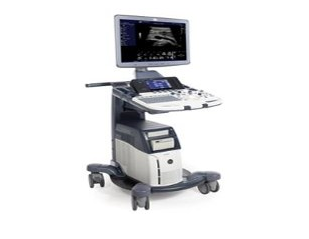 Complete your scan in less than 7 minutes with our Hitachi® ECLOS16™. Our Low Dose scanner offers a combination of technologies that deliver a level of patient friendliness which is essential to a successful imaging experience. We’ve optimized it to accommodate a wide variety of conditions and body types so that we can offer maximum accessibility to our patients. Its ergonomic table can support up to 495 pounds. One of the most commonly used imaging technologies, this option delivers real-time tomographic images that can help to visualize muscles, tendons, and many internal organs. When you visit us, you’ll be able to complete the procedure with help from our licensed technician. We want your imagine experience to be calm, comfortable, and hassle-free so that you can enjoy top-notch results and get the accurate treatment you need to support your continuing good health. Regular screenings for breast cancer and other irregularities are an essential part of managing your wellbeing. However, for women who face difficulty with traditional methods or simply want the most accurate and informative results, our digital mammograms are the best option. Known clinically as 3D digital breast chemosynthesis, this cutting-edge process uses low-dose X-rays at multiple angles to create images of the breast. That makes it an invaluable tool for early detection, since it can map out potential problems that old-fashioned methods might miss, especially when a patient has dense breast tissue. Let us perform your next screening, and see the difference that digital imaging can make. It's all about dedication to the fight against osteoporsis. The World Health Organization (WHO) recommends that women aged 65 and older be routinely measured for osteoprosis to reduce the risk of fracture and spinal abnormalities often associated with the disease.